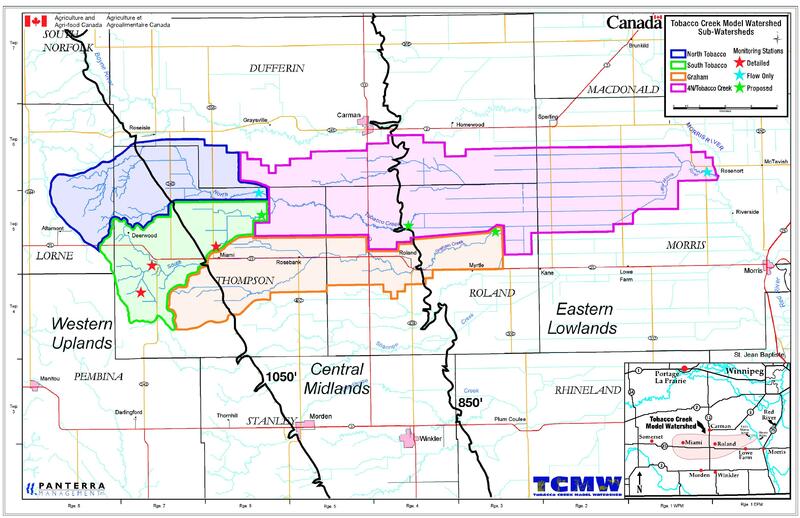 The Tobacco Creek Model Watershed (TCMW) is now developing to facilitate cumulative effects monitoring and agri-ecosystem sustainability research for the Red River Valley and Lake Winnipeg Basin. 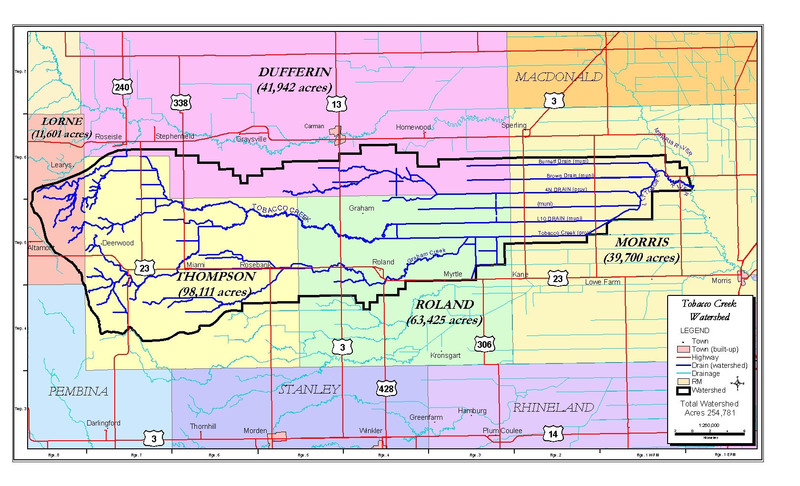 Tobacco Creek is a 1000 km2 subwatershed within south-central Manitoba (Figure). The TCMW is a partnership of: farmers, community members, the agriculture industry, government policy-makers and decision-makers, and scientific researchers. Beyond this, private and philanthropic funding is being secured to support the TCMW. As part of its evolution, a community meeting (involving residents, agriculture sector, and government participants) was held in the watershed to develop initial priorities. Following this, a science meeting occurred to assist in clarifying the TCMW research questions. A decision-making structure which formalizes this shared priority-setting process (a partnership between stakeholders and researchers) has been developed. TCMW Watershed Science Advisory Ctte. TCMW Community Partnership Mgmt. Ctte.